I needed a tool to organize my family history documents and photos. Manages an innovative directory structure that matches your Family Tree. Documents reside where you expect them to be. Provides tools and features for managing files and directories and has image viewing capabilities. Built the program in VB.Net with some input from previous work. Figuring out a way to get an unlimited number of generations handled. Handling family tree complications like duplicate families. 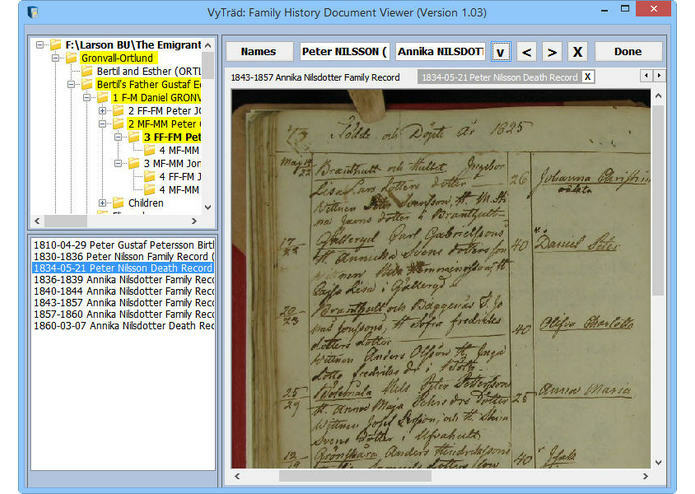 Getting a unique solution in digital document management for genealogy where really none existed before. That I have a lot to learn! I need to either make a version that works on Mac OS or get it on the web.